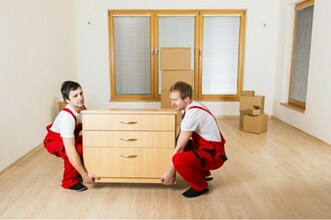 Movers will be there to help you pack and wrap up all your furniture and transport them in our 10ft lorry. Suitable for those who only require the 10ft lorry. We provide long term and short term leasing contracts. 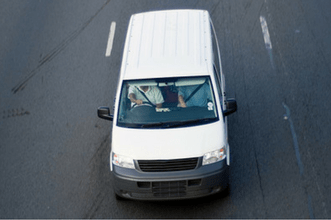 Our one way cargo van rental provides a cost efficient and convenient method of cargo delivery. Have you ever had to have some things delivered made but you did not have a suitable vehicle, or realized that the van rental companies you were calling were only able to provide rentals for half a day or even for a few hours as you only needed the vehicle for a short period of time and did not want to pay for the extra hours? Well then, Rentalorry has the perfect van rental service for you. The one way cargo vans, are normally used by our customers to make a quick delivery of supplies or even a short term courier service. The range of vans under these scheme include the normal cargo vans for average sized loads up to the larger box van rentals which can cater to larger equipment or more weather sensitive items. The best thing about the one way vans is that our company will take care of everything for you. From the picking up of the cargo to the delivery of the items, customers need not worry about where to return the vehicle, having to top up the fuel for the van or even damages to the van which may occur along the way. This convenience reduces the stress of planning the logistics for your company’s operations. With our customizable and flexible van rental packages, you will definitely be able to find something to fit your requirements. Our clients like this because they do not need to spend excessively for the hours of renting the vehicle which they do not need and only need to pay for what they need to use. If you do not have sufficient reliable and experienced drivers to make the delivery, we also have drivers ready to assist you. Our drivers have year of experience in handling these vans and will definitely be able to deliver your cargo safely to its destination. Because we have one of the largest fleets of vehicles in Singapore, we are able to use economies of scale to provide cost savings for your clients. In addition, our vehicles are well maintained by our very service staff, so that the vehicles are always ready to hit the road. All these factors help us to reduce expenses on our side and we are able to then transfer these cost savings to our clients. That is also why we have one of the cheapest cargo van rental services in Singapore! Our one way van rental service is available for a large variety of vans ranging from the light duty to medium duty ones. These vans are specifically fitted for the transportation of cargo so you need not worry that your items get damaged during the journey. At the same time, to further increase cost savings for our clients, it would also be good to get the right sized van. If you are unsure that van would be appropriate, feel free to contact us staff through contact us and we would be glad to assist you with any queries. This services are available for last minute bookings as well so feel free to contact us if you have such a request.